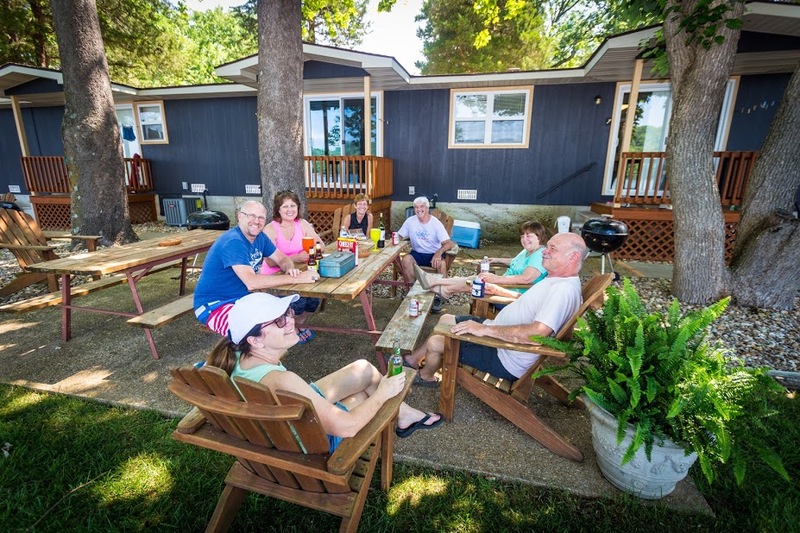 Point View Resort is the perfect place to relax and enjoy the beauty of the Ozarks. 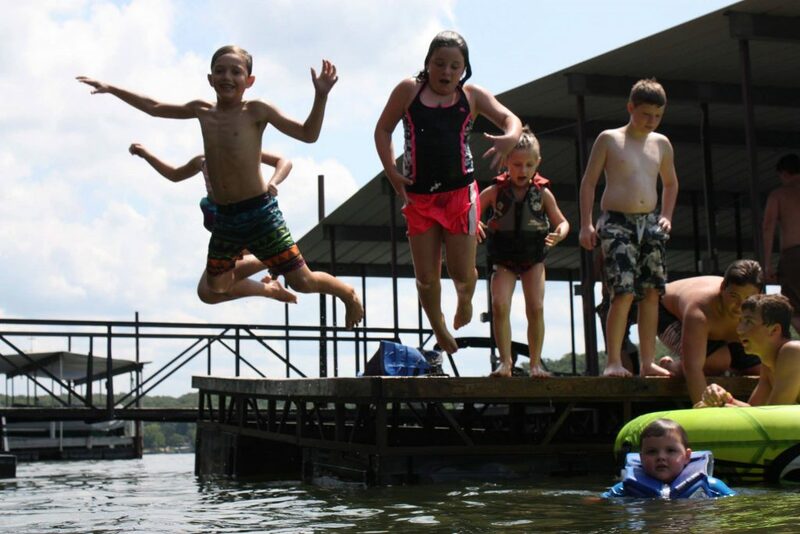 Tucked away on a quiet arm of the lake, each of our cabins has easy access to the lake and amenities. 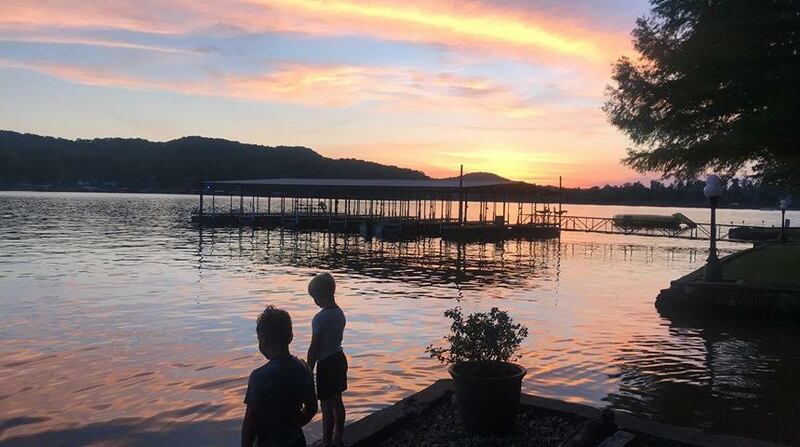 Whether you want to go boating, fish off the docks, play in the water, or just relax, it’s all just steps away. 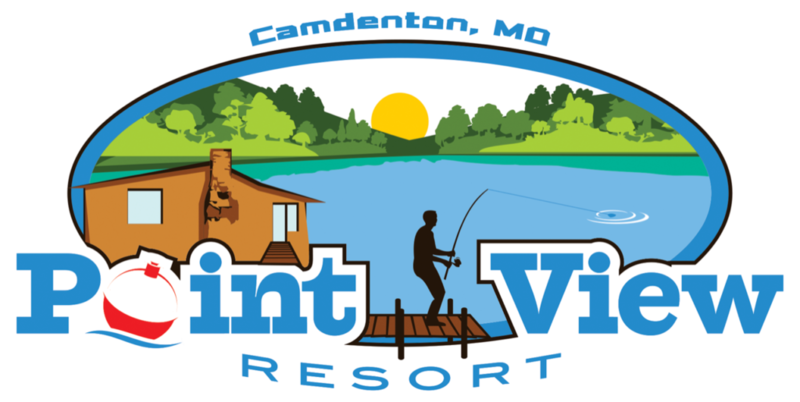 Located on the southeast end of Lake of the Ozarks, Point View Resort in Camdenton, MO is a cozy getaway from all the stresses of everyday life. 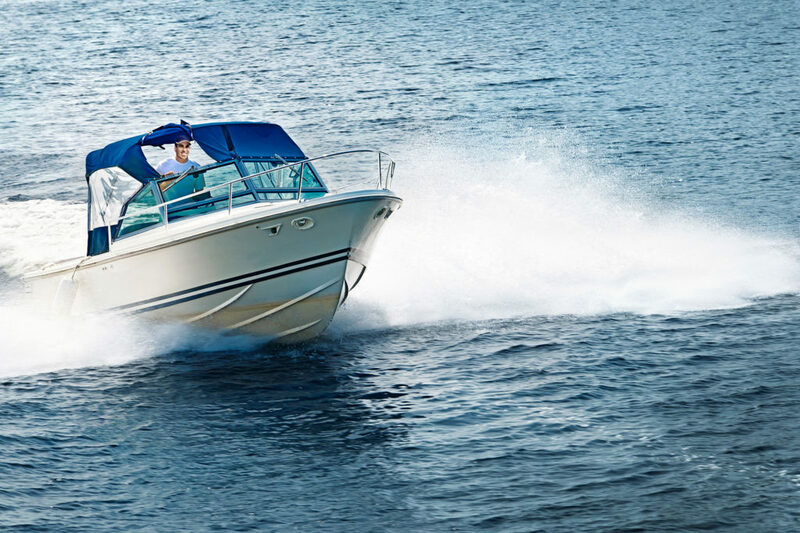 No matter your boating needs, we can make it happen. Bringing your own boat? 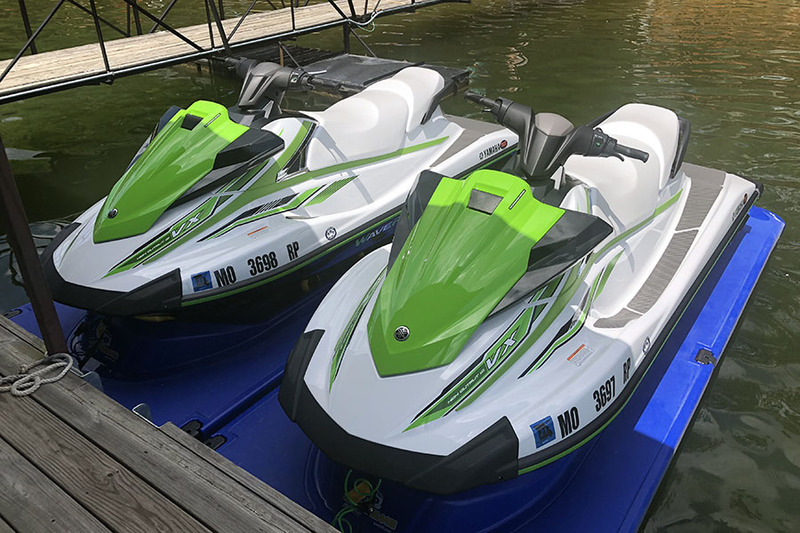 Our three separate docks provide our guests with private boat slips and we can launch boats up to 22 feet at the resort. Have a bigger boat? We can help arrange local launching. 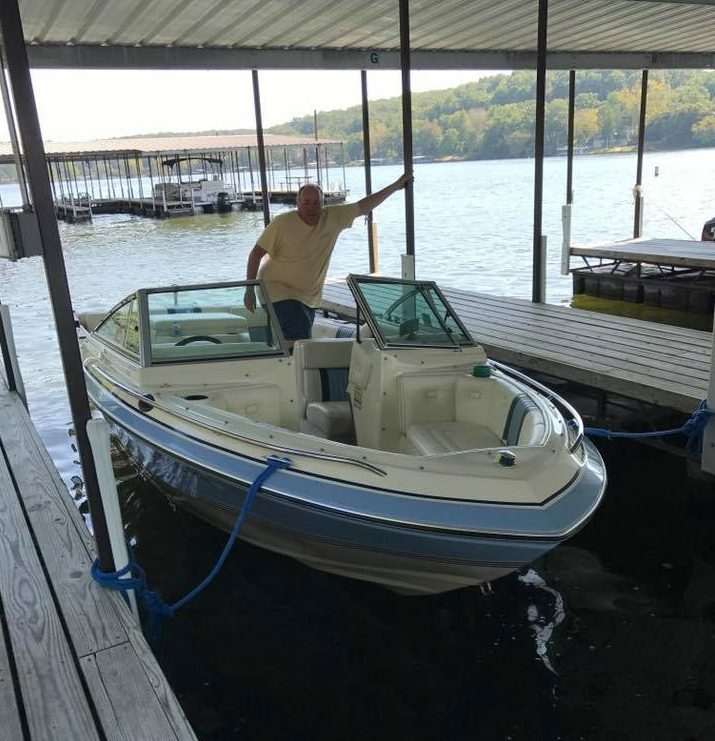 Looking to rent a small fishing boat? 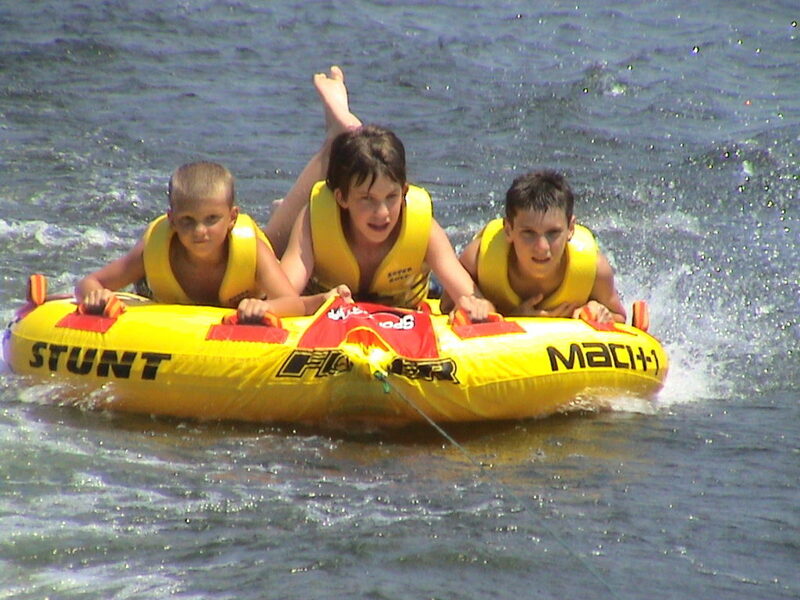 We have 16-ft Jon Boats with 15HP and 25HP motors for daily rental. 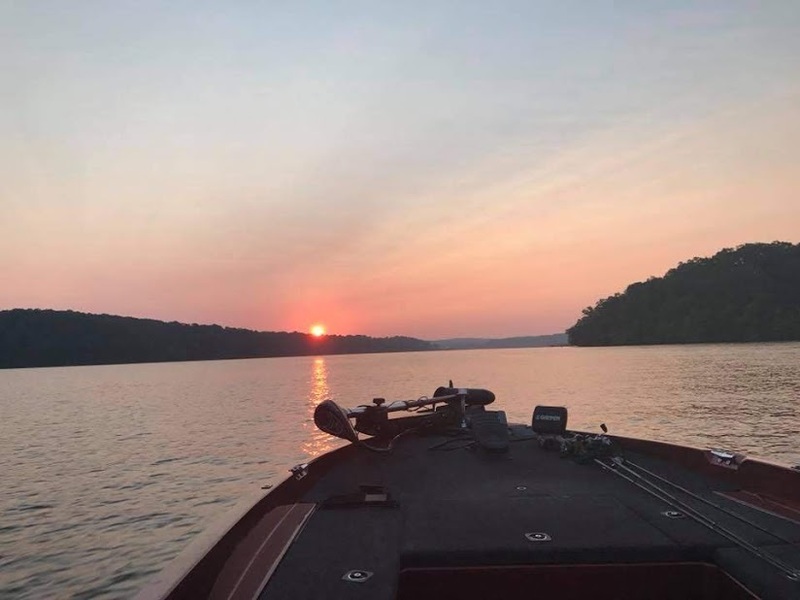 We make it easy for fishermen to find their own little hook nook in the many surrounding coves, where excessive boat traffic won’t scare your catch away. Looking for something faster? 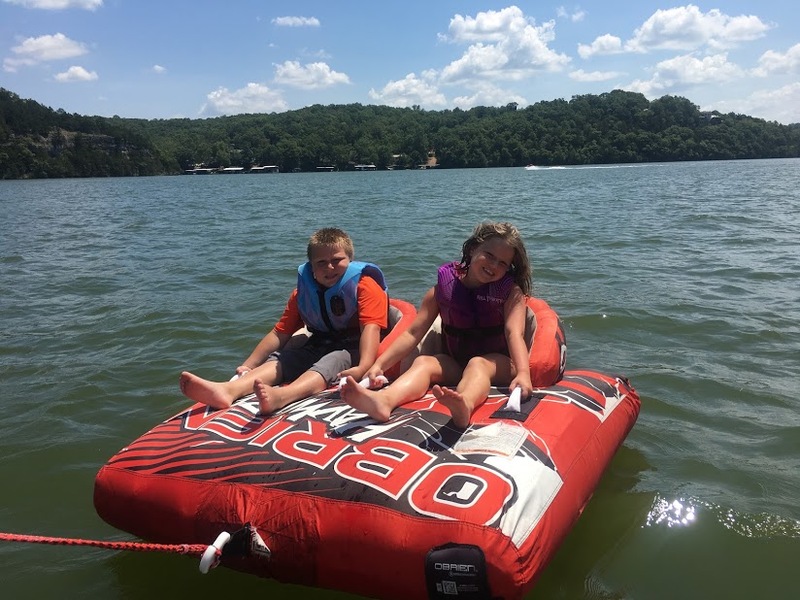 The calmer pace of the Little Niangua is perfect for tubing and wakeboarding. 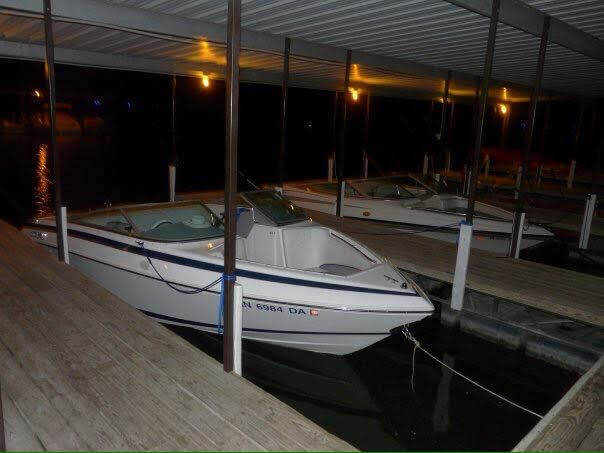 We work with local boat rental companies to have your ideal boat waiting for you when you arrive. 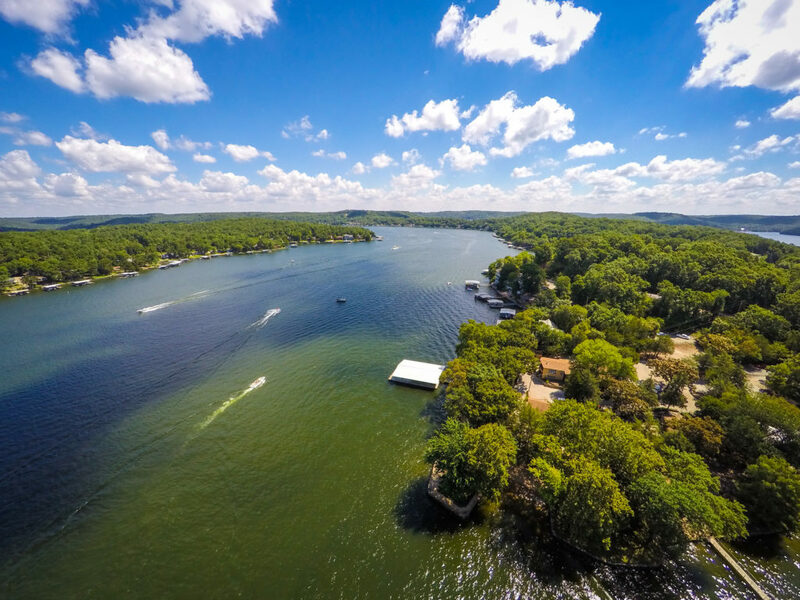 The area is great for fishing, watersports, and exploring the lake by water. Everything you need is within your reach. The lake water that surrounds the resort is clean and refreshing, as our location is upstream from the main channel. 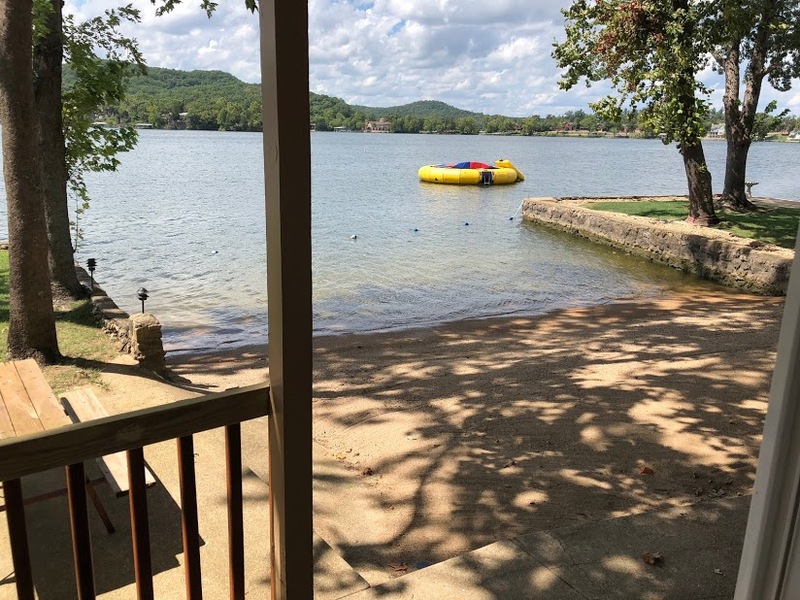 With much lighter boat traffic than more populated parts of the lake, it’s easy to jump in and enjoy the water from the swimming dock. 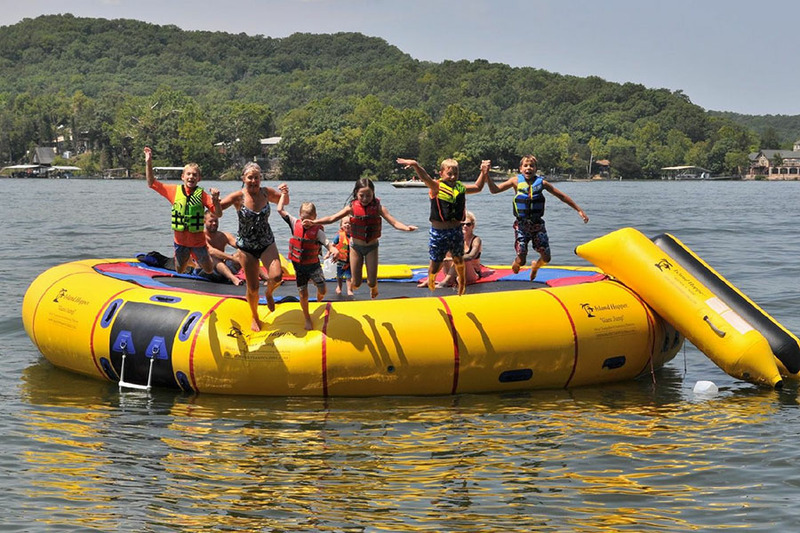 Or for the more adventurous kids (and kids at heart) you can play on the huge water trampoline. 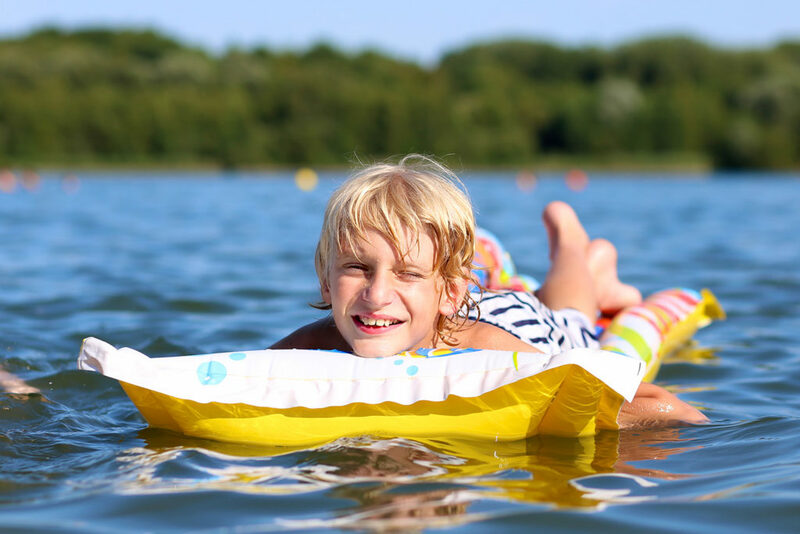 You can enjoy our two manicured sand beaches to play in the shallow water, or swim out a little farther to play in the deep water perfect for floats and other water toys. 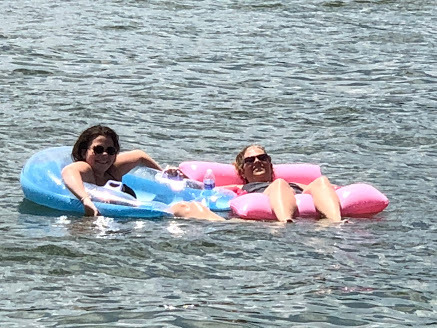 Nothing is as relaxing as spending time outside and the lake, and we give you plenty of ways to enjoy it. Plenty of lounge chairs around the resort allow you to take in the peaceful beauty of the lake. 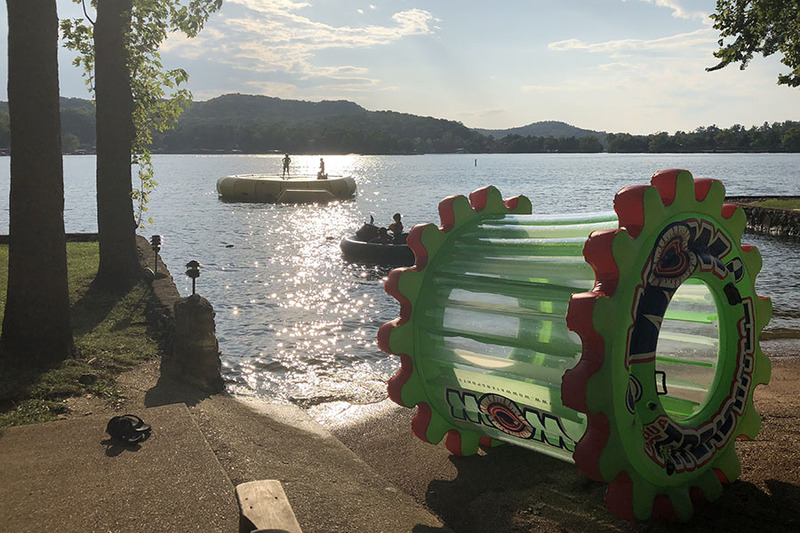 Two small playgrounds give smaller kids some time to play away from the water. Our new fire-pit gives you a place to gather with friends and share your fish tales. Or spend some alone time on the deck of your cabin. It’s your vacation – spend it as you like. 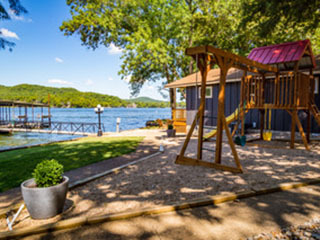 Located on the southeast end of Lake of the Ozarks, Point View Resort in Camdenton, MO is a cozy getaway from all the stresses of everyday life. 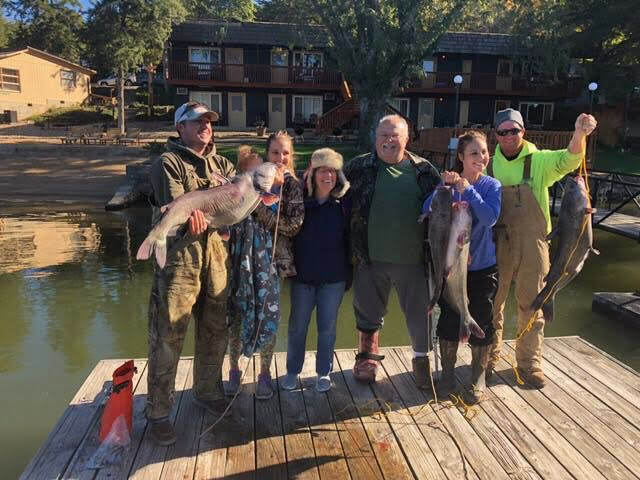 We are in a premium location for fishing, with an abundance of crappie, black bass, catfish and many other species. 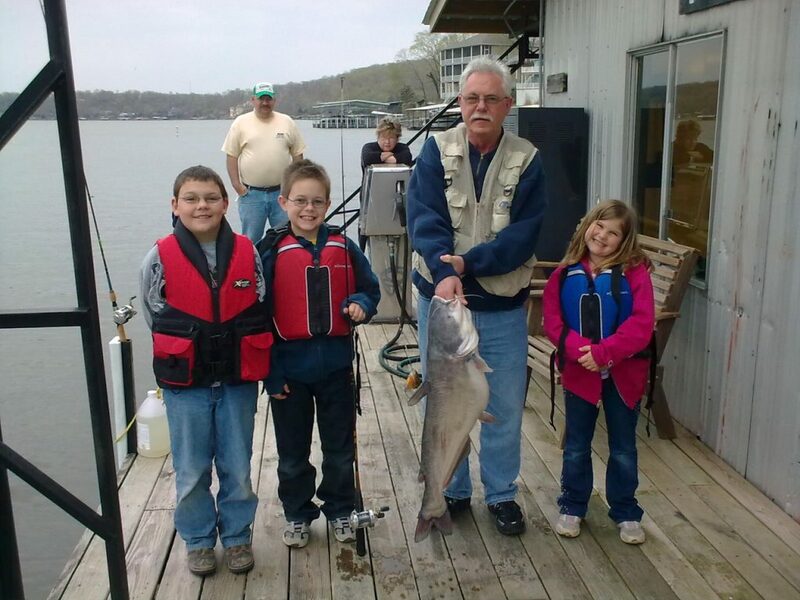 Fishing from our well-maintained fishing docks will delight novice casters and challenge experienced fishermen. 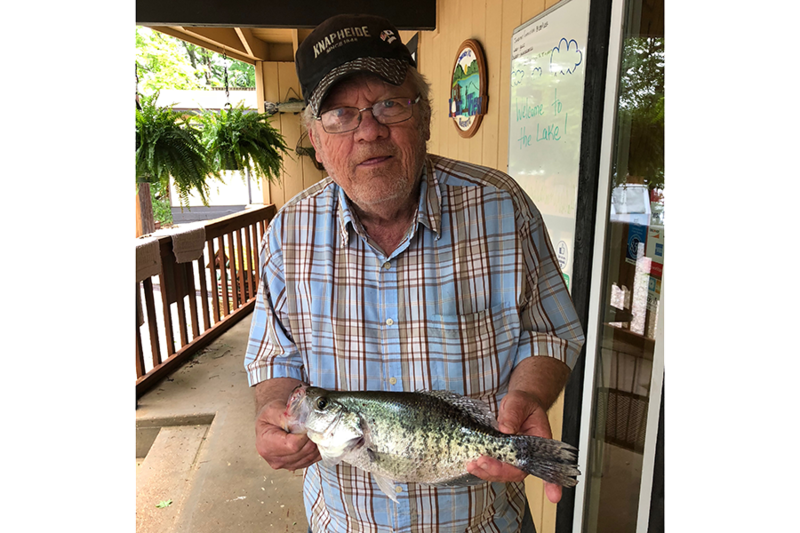 Our Crappie beds are maintained each year to keep the docks as stocked as possible. 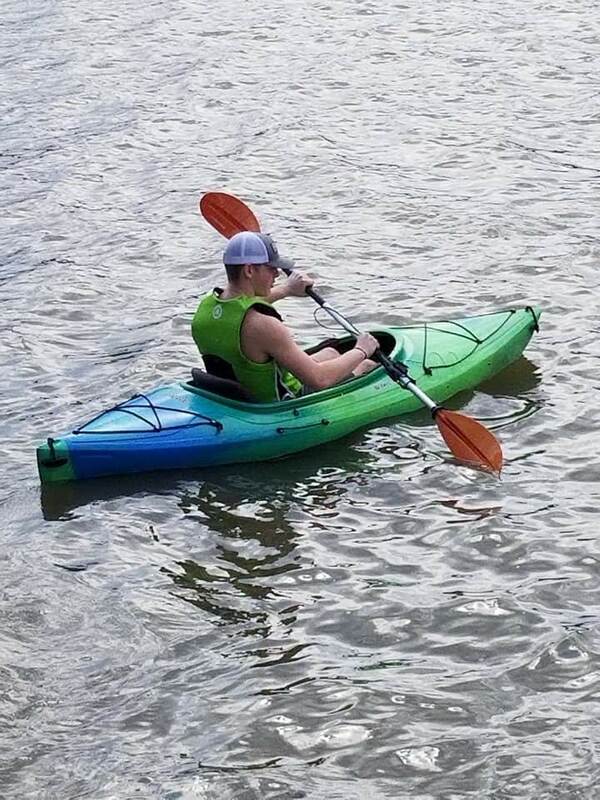 By boat, easily explore the surrounding coves and find your own haven on the water. 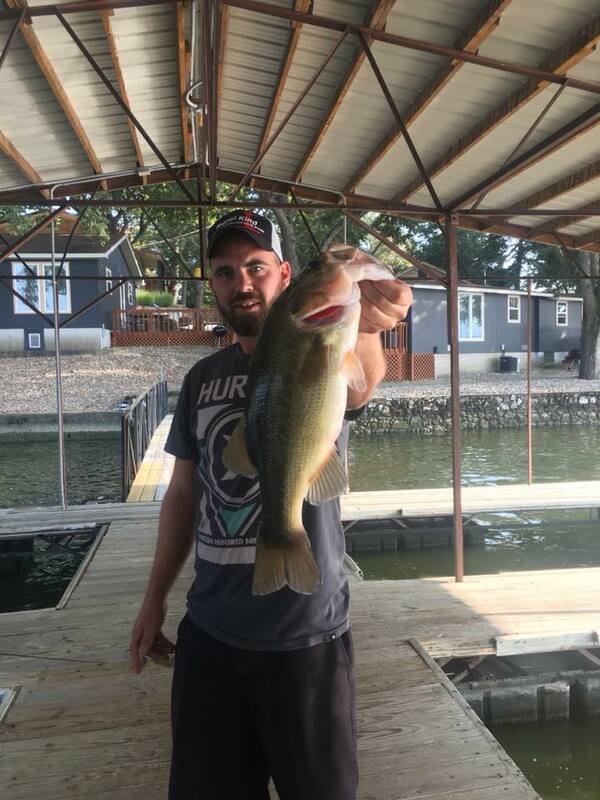 The indoor, heated fishing dock (with fully maintained crappie beds) makes every day the perfect day to fish the lake! Checkout our Fishing Habitat page for more information about our crappie beds from FishHiding. 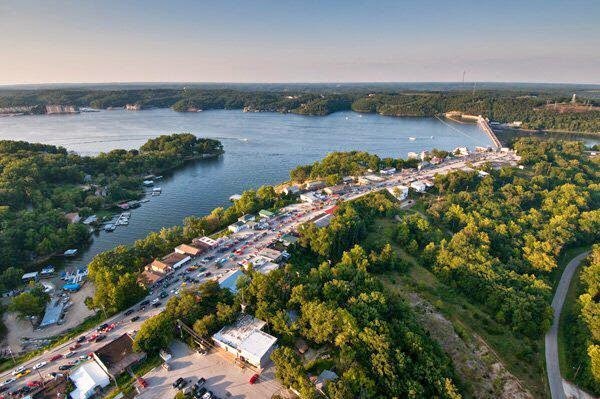 If you want to explore the world outside our resorts at the Lake of the Ozarks, restaurants and shopping centers are just a short drive away. 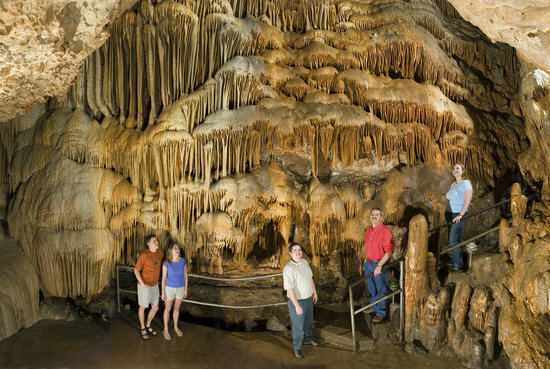 Explore the wonders of the Ozarks and see the amazing underground formations at the nearby Bridal Cave. 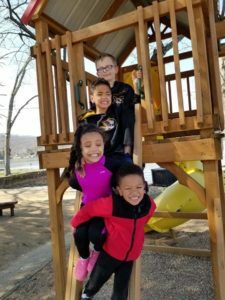 Miniature golf, bumper cars and batting cages are fun family activities to enjoy if you are looking for a break from the sun and water, and they are just a quick drive from your cabin. 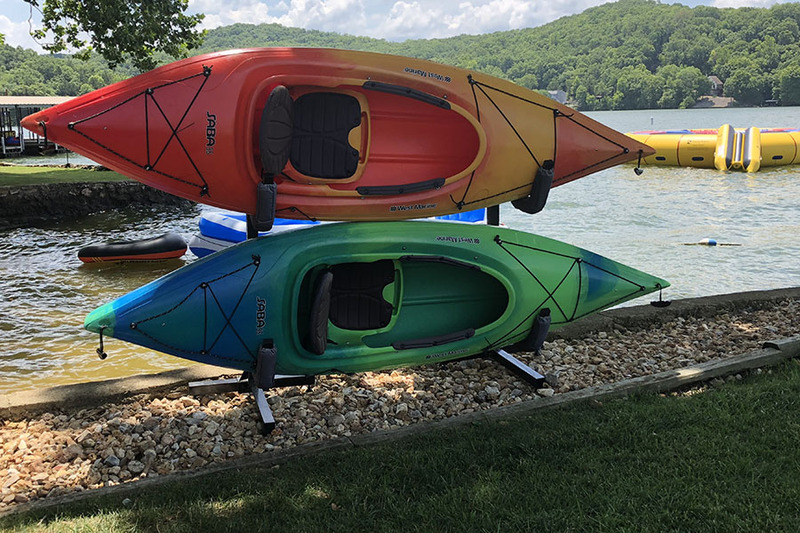 The Lake of the Ozarks is widely known for its boating, fishing and water-related activities, but there are so many other fun activities to enjoy during your visit at Point View Resort. 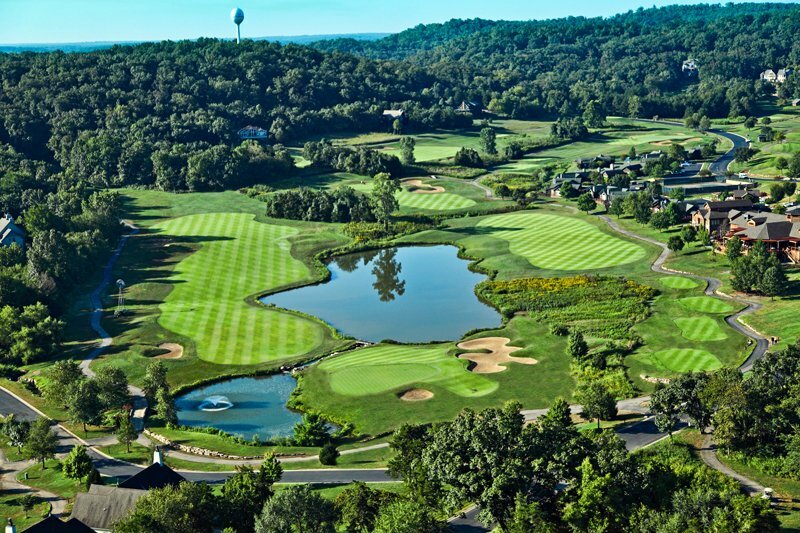 There are 16 golf courses in the area that offer various levels of difficulty and beautiful views of the surrounding area. 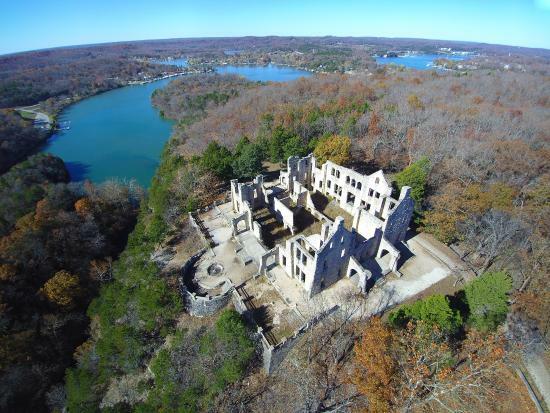 Ha Ha Tonka, a state park located nearby, has 3,600 acres of beautiful landscapes, caves and hiking trails, along with the remains of a European-style castle. 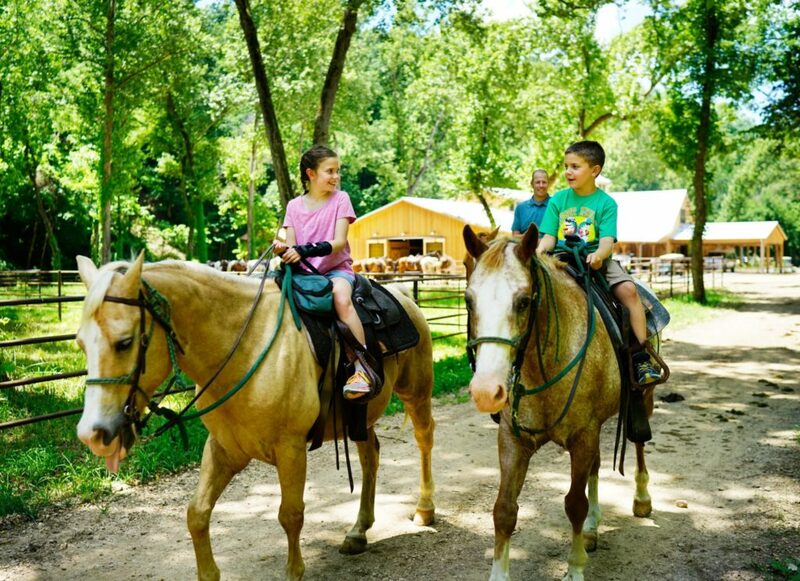 Horseback riding, bird watching and hunting for turkey and deer in-season provide more adventure for you and the family. Come experience our beautiful resort and begin to build your own memories and traditions. 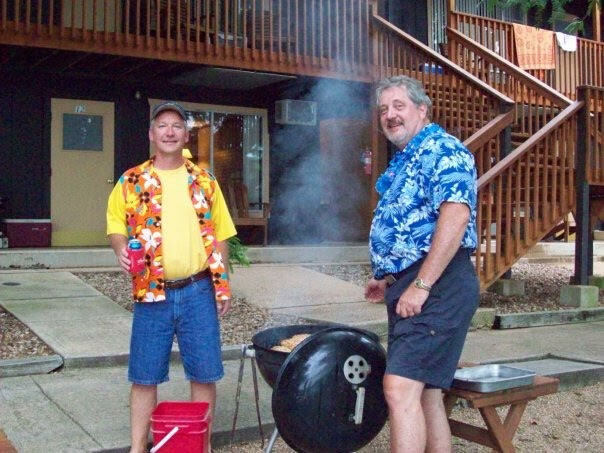 We are dedicated to making Point View Resort your home away from home, and will strive to make your stay with us relaxing and stress free. © 2018 Point View Resort.